Just a reminder that our score posting season runs through the end of November and starts up again on March 15th. I hope we are all thinking there are a few weeks of Indian Summer left to come. Under Rule 10.1a, if the player’s club accidentally hits the ball more than once during a single stroke, there will be no penalty and the ball will be played as it lies. 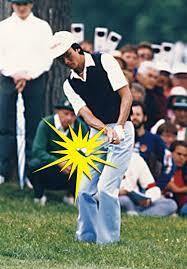 Where a double hit occurs as part of a single stroke and was not the intention of the player, it was felt unfair and unnecessary for the player to be penalized. With major changes to the Rules of Golf going into effect on January 1, 2019, your Miami Valley Golf will offer an expanded schedule of complimentary workshops. They will take place this Fall/Winter & Spring across our area of service. These sessions are free of charge and open to any Miami Valley Golfer. In the meantime if you would like a copy of the players edition of the new rules of golf please provide your information through this link and we will be happy to mail to you a complimentary copy. For those of you with smart devices you can also download at no cost, the 2019 Rules of Golf App at either your iTunes or Play store. The girls team from Centerville HS, lead by Marissa Wenzler's co-leading first round score of 69, has the lady elk just five shots back in the Girls State Golf Championship being played on Ohio State's Gray Course. Without a frost delay, the Centerville girls tee off today from 9am to 9:40 off of the first tee. 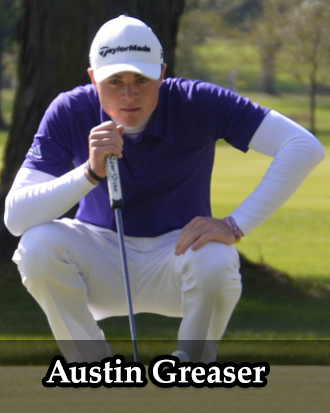 In the Boys Championship, on the Scarlet Course at OSU, Vandalia Butler's Austin Greaser sits in 3rd place just two shots back and Tyler Goecke of Carroll is in a tie for fifth place, five shots back in the individual championship. No DI Boys High School Team from our Area Qualified for the State Championships this year. 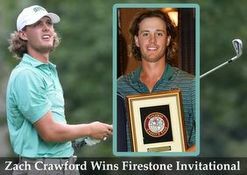 Ohio University sophomore Zach Crawford from Vandalia, earned his first collegiate victory, winning the Firestone Invitational by three strokes earlier this month at Firestone Country Club. His total score of 206 (-10) helped the Bobcats finish in a tie for third place with Eastern Michigan with a combined team score of 859 (-5). The University of Dayton Men's and Women's Fall Schedule came to a close this past week when both programs hosted the Flyer Invitational at NCR CC. The Wright State Men team also completed. The Cedarville Men hosted their invitational this week past week at CCN, Wittenberg & Urbana also took part in the Invitational. We often don't report on National Championships because we try and keep a more local feel for our weekly email but when I read about the 51 year old champion having her 78 year old father on the bag, well, let's just say it's a story worth sharing and is one of those great stories about why our game is so special. twelve months depending upon a candidate's availability and funding from the USGA. Each year the DDWGA awards Collegiate Scholarships for deserving Junior Girl Golfers the deadline for applications this year is November 15th. What Does Miami Valley Golf Do ?